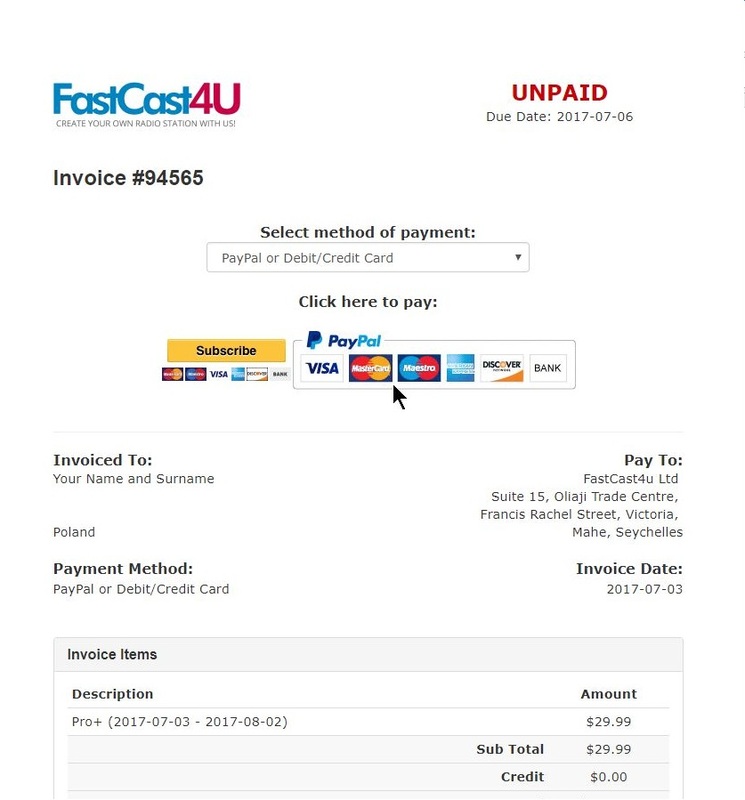 FastCast4u | How to pay with a Debit/Credit card? Help | How to pay with a Debit/Credit card? 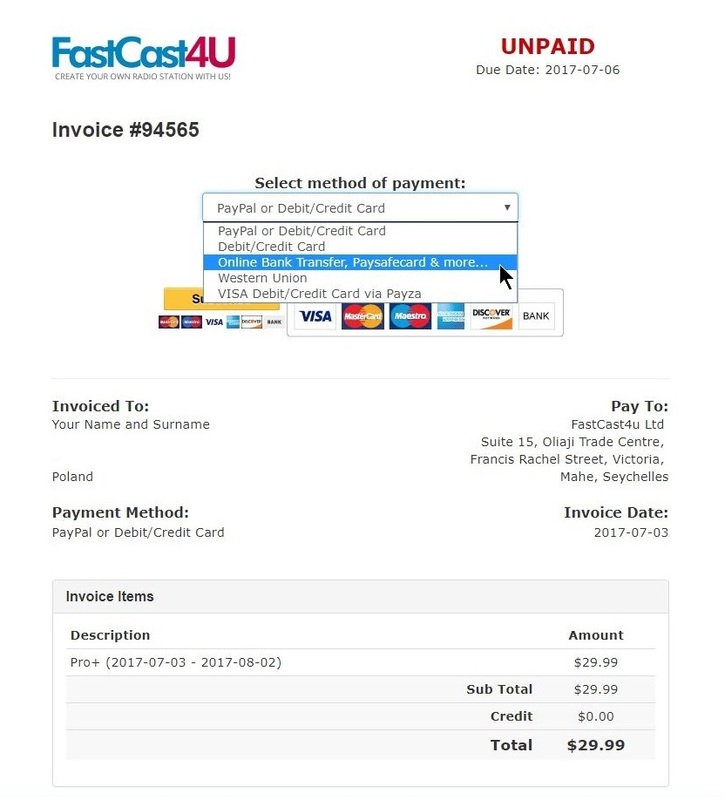 FastCast4u Ltd does collect card details, for security reasons. 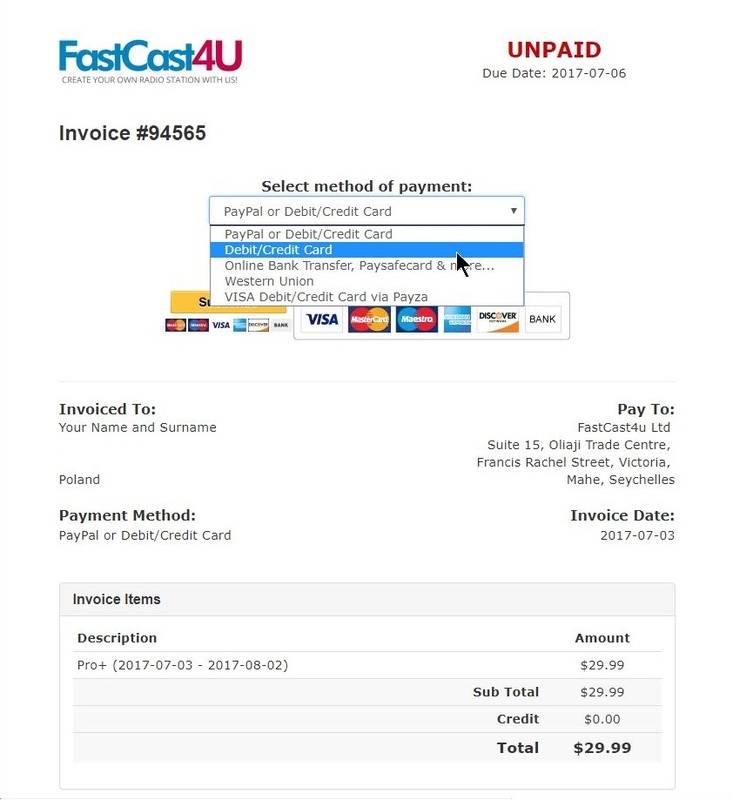 Card Payments are processed by Paymentwall Inc. Your personal data, address and other invoice details are protected, so you need to be logged in to view and pay your invoice. See a list of countries for which this payment method is supported. 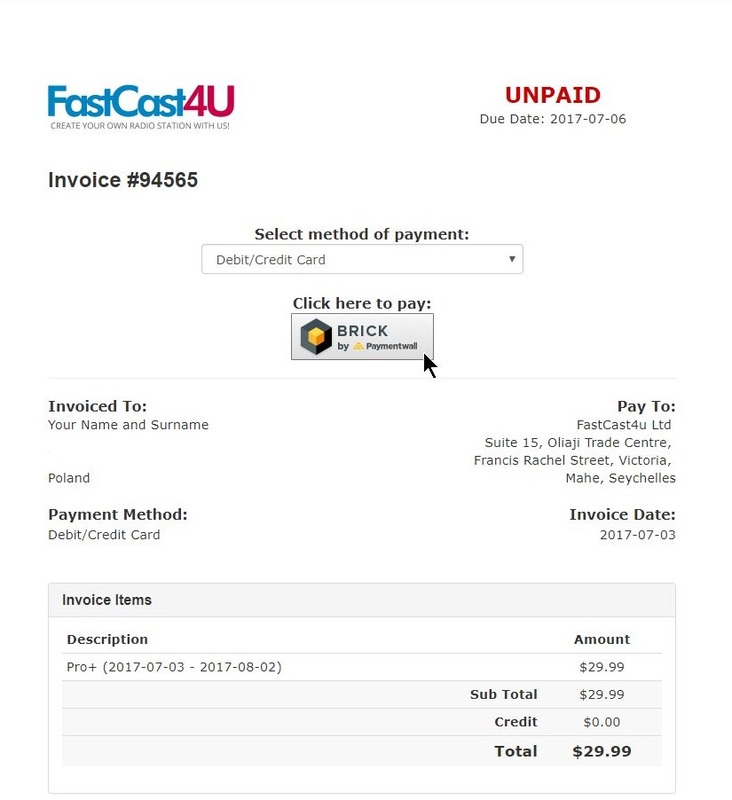 1.1 Click on BRICK by Paymentwall to open a secured Payment Gateway. 1.2 After the system redirects you to the Payment Gateway, you can safely enter your card details. 1.3 Alternatively, select Debit/Credit Card | Online Bank Transfer | Paysafecard & more... for more payment options. 2. You can also easily make a payment with a card through PayPal, also without a PayPal account. 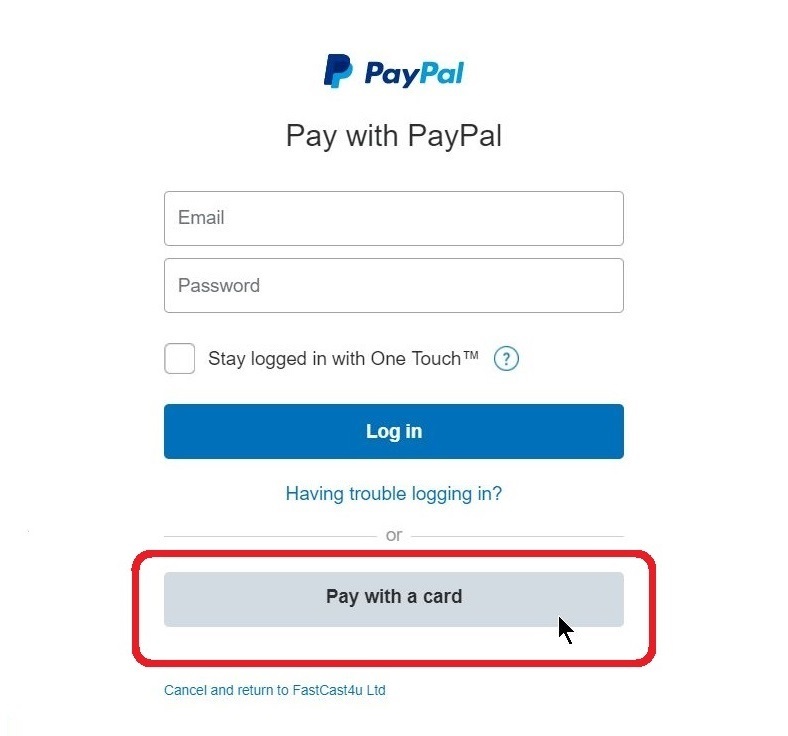 2.2 Choose Pay with a Card option if you do not have a PayPal account.